A Practical Guide to Career Learning and Development is an essential guide for all those involved in careers education, either with sole responsibility or as part of a team. 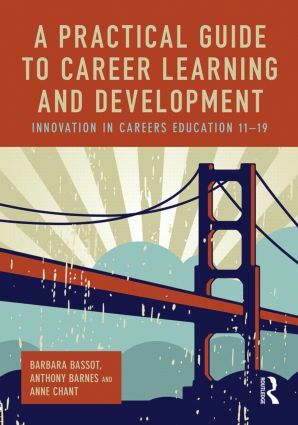 With a focus on career happiness, resilience and growth, this exciting book offers effective pedagogical strategies, techniques and activities to make career learning and development accessible and enjoyable, contributing to positive outcomes for all young people in the 11-19 phase of their education. A Practical Guide to Career Learning and Development is an invaluable resource for careers advisers and staff in schools with responsibility for leading and providing careers education as well as work-related learning, PSHE, citizenship, and pastoral programmes. It enables and supports all practitioners as they develop careers provision that better prepares young people for their future well-being and an ever-changing and unpredictable world of work.